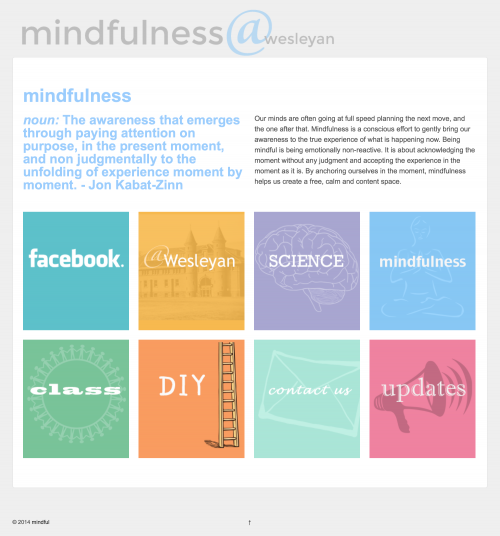 This site provides information about Mindfulness at Wesleyan University. It offers DIY guides and links to scientific articles about mindfulness and its benefits to students. There is also info about available programs and classes at the university and a blog to provide updates. Mindfulness @ Wesleyan is at the intersection of an academic, administrative, and student-run site.